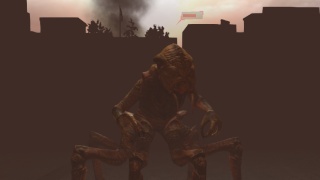 Falling Skies: The Game's story takes place between the third and fourth seasons of the series and is entirely unique making it a good way to fill in the gap between the two seasons of the show. The story takes place over a good deal of missions with long periods of time between story missions and mission briefing scenes which isn't ideal by a story-telling standpoint, but it does work as an incentive to progress further into the game! The game is separated into a base headquarters and squad mission maps. At headquarters you can purchase upgrades, recruit new warriors, view a list of injured units and how long they'll be unable to participate in missions, and there's a memorial to see which of your comrades have fallen in battle. You can also dispatch a unit on a gathering quest to gather materials while you play through squad missions! The squad missions take part on a large map that has the traditional movement and attack grid that most strategy RPG's possess and you must use cover to prevent enemies from inflicting too much damage on your units! There isn't a huge amount of enemy types so battles can be somewhat predictable, however the strategic elements of this game bring some much needed depth and make up for this shortcoming. After each mission your units gain experience and levels which allows you to teach them new skills from their skill tree. 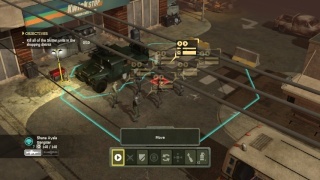 There are a handful of different classes each with their own unique skills which will be important to use in order to survive missions. The game could use a few more classes though as there aren't enough in this game, however it isn't a game-breaking issue. After missions you'll also receive new upgrades to purchase which range from weapons, armor, and ammo, to medical supplies and passive status boosts! These upgrades "especially better ones later on" can take numerous missions before they are finished and can be used in missions so careful planning should be made as to which upgrades you should purchase next! The controls of the game are spot-on and are intuitive and easy to learn which is a must for any strategy RPG! The Off-TV Play also works perfectly and is a great feature for those who don't always have access to a television set! The graphics of Falling Skies: The Game aren't the greatest, but they get the job done with reasonable 3D character and enemy models and passable special effects, but the music is incredible and will be instantly recognized by fans of the TV series and fit the game perfectly! The game also features voice acting from the actors of the TV series which is a nice touch though it would have been even more amazing if the game used the story dialog more often. With solid gameplay and a unique story Falling Skies: The Game is a decent game for fans of the Hit TV series and the soundtrack is absolutely incredible! Though the game isn't without some flaws as a lack of character classes and disjointed story definitely don't do this game justice and the visuals could have been much better, though if you're a fan of the series we still give this game a solid recommendation! Great review! I might download this game sometime after I finish up some of my backlog. I don't think that I'll be downloading this game because it doesn't seem like a game that I would enjoy. Bah, I wasn't too thrilled with Falling Skies: The Game, but it was aight. Still enjoyed reading your review though dude! 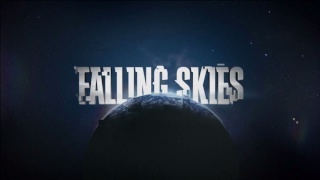 @MechaFreiza wrote: Bah, I wasn't too thrilled with Falling Skies: The Game, but it was aight. Still enjoyed reading your review though dude! It was the same for myself. Good review though. This looks fun, but there are so many better games that I want to get for my Wii U before this! I agree with the review cause this game is really underrated and unfairly hated when it's actually really fun!